ECB announcement regarding tapering its participation in the markets towards the ends of the year supported EUR and turn the EURUSD chart into a bullish trend. The support rests at 1.09190 with resistance at 1.09420 which the weekly pivot point at 1.09300 is located in between the lines. The EMA of 10 is moving with bullish bias along the ascendant channel and it is above the EMA of 100 and the EMA of 200. The RSI is moving horizontally above the 50 level, the Stochastic is showing upward momentum and the MACD indicator is in neutral territory. The ADX is showing buy signals. 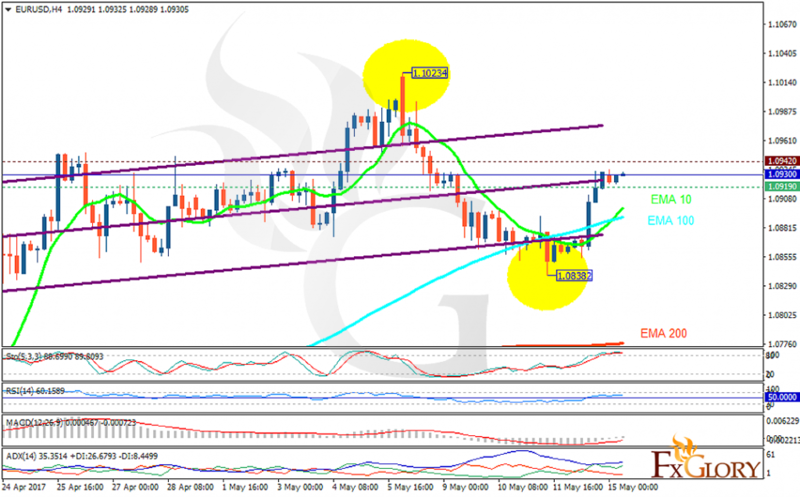 The pair will be fluctuating within the support and resistance area however, due to the strong resistance area, pullbacks can push the price towards 1.085.